cute little life: Weekend Recap: L.A.
Don't be so surprised to see a weekend recap so early in the week - every once in a while, I get my act together! Due to the closure of the 405 Freeway in LA, we had to slightly modify our Saturday plans. I was originally planning to visit my mom and sister in Long Beach and take the metro to Downtown Los Angeles but instead, my friend and I hopped on board the Amtrak Pacific Surfliner and met them there! My mom and sister took the Metro and we met in the middle of LA Union Station (don't forget to look up if you find yourself there - the ceiling is beautiful). My friend is a real daredevil. Don't worry - I pulled her to safety at the last moment. 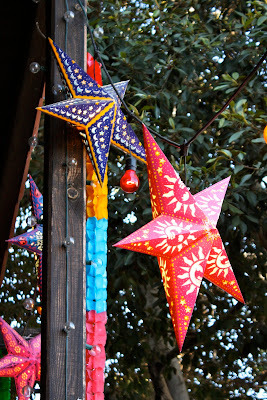 We spent a little while browsing Olvera Street before walking up toward Chinatown for some shopping at Renegade. If you missed Renegade this month, there will probably be another one closer to the Christmas holidays. Then we walked back up to Olvera Street to take our time browsing and find something to eat. I love the old brick buildings and how festive the entire street is decorated. There are huge blooming bougainvillea all over and the papel picado waves so brightly. I couldn't resist buying a few for my office. Don't worry, this wasn't all mine! My friend and I shared one of the world's largest (and weakest!) margaritas with dinner. 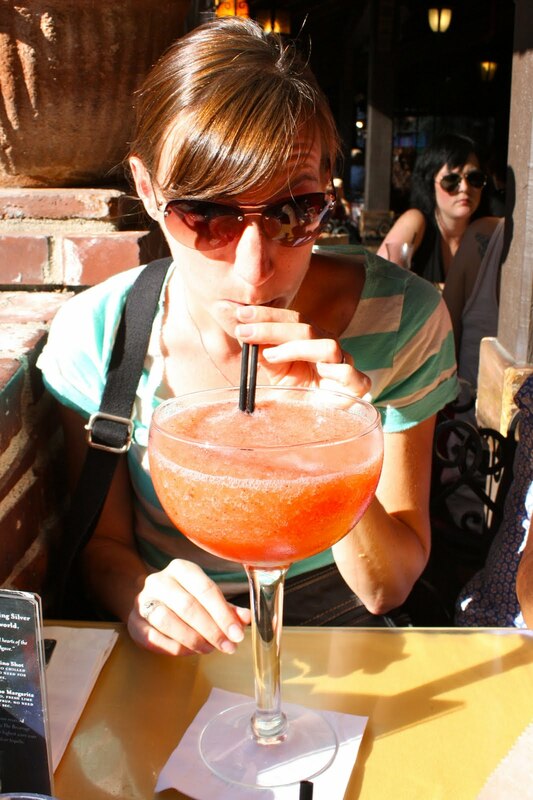 This drink was literally larger than my entire head. Did I mention my friend loves salsa? This isn't even half of the containers our waiter collected from our table when were were done. But they were also nice enough to give her a container full of salsa to go. If you've never explored Olvera Street, Chinatown, or Renegade, be sure to keep your eye out for their winter craft fair and head on down to Los Angeles. It's easy to get there by Amtrak or local Metro if you don't want to drive in. How was your weekend? Any adventures to share? All photos by me. Please don't use without asking first. Thanks!